Lord Shiva’s favorite day is Monday. Many Devotees Observe fast on all Mondays in the month of Shravana. 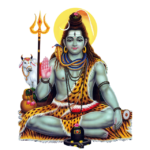 Monday’s of Shravana and Kartika month are said to be good to propitiate Lord Shiva. Devotees who observe this vrat should wake up early in the morning, complete bathing rituals and take sankalp for the fast. In the evening devotees take second bath and perform shiva Puja. It is recommended to visit the temple after the puja. Devotees break their fast (paaran) after sunrise of the next day.